Home / Healthy habits / Lifestyle / women health / Can you get herpes from lipstick? Learn how to safely test lipsticks in stores! Can you get herpes from lipstick? 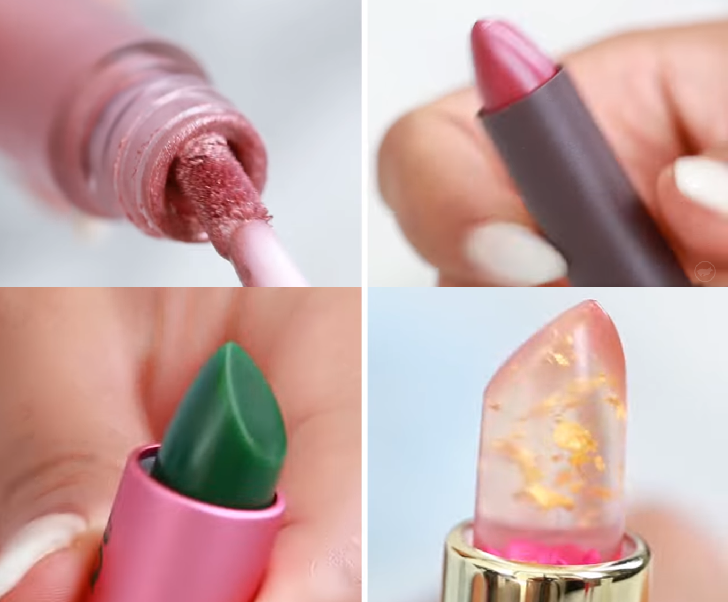 Learn how to safely test lipsticks in stores! Is it possible to get herpes from lipstick? So can you really get herpes from trying on lipstick at a store? Experts suggest yes, a person can contract oral herpes from lipstick. But before you panic, this happens only in rare cases and in multiple uses. While speaking to Live Science, Dr. Amesh Adalja, an infectious-disease specialist and a senior associate at the Johns Hopkins Center for Health Security in Baltimore, explained how it is possible. So one person uses it and puts it down and another person picks it up and uses it. Perhaps that’s a way of transmitting [infections]. Another expert, Dr. Suman Radhaskrishna, chair of Infectious Disease Control at Dignity Health, LA, also spoke to KNBC and spoke about another possibility. She shared that the lipstick may have passed on to her quickly after someone with the disease used it. “It has to happen pretty much consecutively. So one person uses it and puts it down and another person picks it up and uses it. Perhaps that’s a way of transmitting,” she explained. Either way, the viability of the virus mostly depends on the environment and not the person. “The length of time the virus survived on the lipstick would depend on environmental conditions, such as humidity and moisture levels, but it could be there for a couple of hours,” Dr. Adalja shared. And although the World Health Organization says almost 67 percent of people under the age of 50 suffer from oral herpes, Dr. Adalja says one must not be too scared about it. He says that the herpes simplex virus type 1 (HSV-1) that causes oral herpes (and cold sores) is “part of the human condition.” “[HSV-1] isn’t something people should be distressed about.” But one must still be careful as to how they test products that go directly onto the skin. Since this lawsuit brings the issue of testers and hygiene back to the table, we thought we’d do the research for you and tell you how you can avoid using a trial lipstick. And, of course, how to still take home your favorite shade. The tip of your finger has the same undertone as your lips. Celebrity makeup artist Rae Morris recently shared the tip with Bazaar. Test it on your fingertip, which has a blue-red undertone that’s closer to your lip. Do one swipe only and if you like the color, buy it. If it’s not enough, you’re better off getting the next shade stronger and using less. Yes, you read that right. Chances of that trial lipstick getting soaked in somebody’s saliva is the highest over the weekend. So if you can, try to shop for lipsticks during the weekdays. Book an appointment with high-end stores beforehand so they keep separate cleaner samples for you. Avoid testing anything that comes in an open jar or pot. Most people have already dipped their fingers inside and you don’t want to put that product on you. So stay away from eyeshadows, lipglosses, cheek tints, and especially open jar lotions. Always make sure you ask for a clean sample If you cannot get one, use the menus and color sheets as a reference.